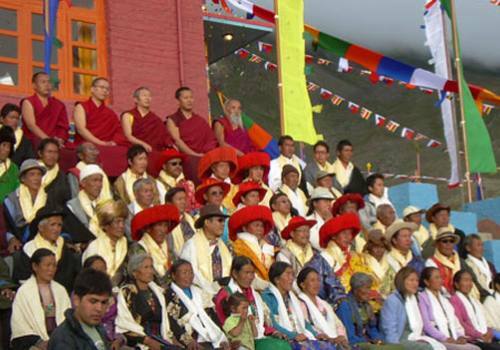 The entire sanctuary was considered as holy to the Gurung people, one of the many resident people to inhabit the area. They believed it was the storage area of gold and a variety of resources left by the Nagas, the serpent-gods known in India. The sanctuary was believed to be the home of several deities, from Hinduism and Buddhism as well the older animistic gods. The peak of Machhapuchhre at the doorway was said to be the home of the god Shiva, and the daily plumes of snow were thought the smoke of his divine incense. 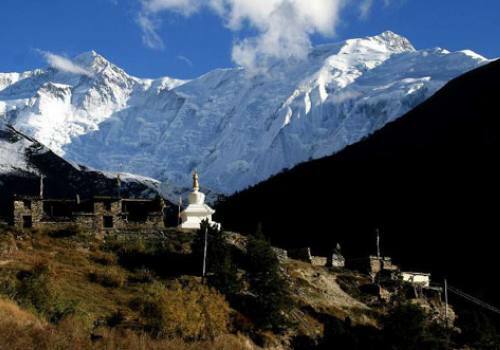 Until recently, the local Gurang people forbade anyone from bringing eggs or meat into the Annapurna Sanctuary, and women and untouchables were prohibited from going there as well. 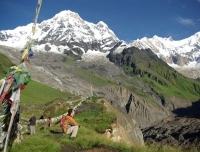 In recent years, the number of trekkers to the Sanctuary has increased substantially, in part because the Sanctuary forms the base of one of the major routes to the peaks of the Annapurna range. 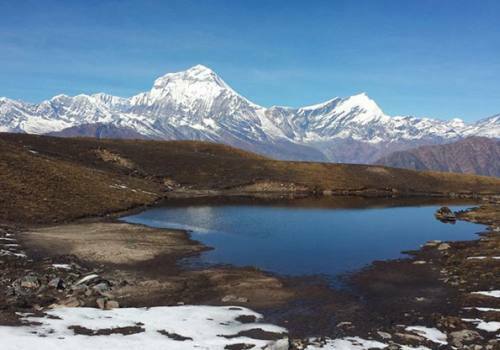 The Annapurna Sanctuary is now part of the Annapurna Conservation Area Project, which places restrictions on number of outside travelers, gathering of firewood, and domestic animal grazing. This program is only for guidelines so our itinerary is flexible and can be redeveloped as per your interest and time you have. Thanking you! Namaste!!! After hot breakfast drive 200km to Pokhara and it takes about 6-7 hours from Kathmandu by tourist bus. 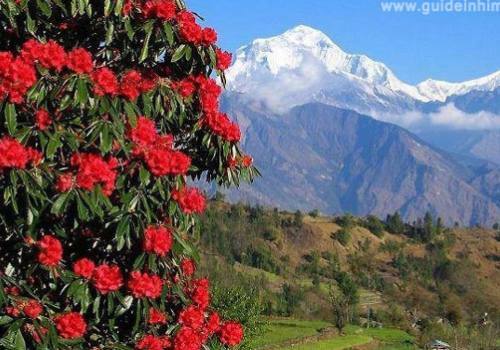 It is an exciting and romantic drive that we can enjoy beautiful scenic view of terraced rice field, eye catching landscape, Trisuli and Marsyangdi Rivers and incredible view of Ganesh Himal, Manaslu, Lamjung Himal and most of Annapurna Himalayan Range. The tourist coach stops for breakfast at 09:00 am and at around 12:00 for lunch on the way to Pokhara. Day 02:Trek to Tolka (1700m) 5 hours walk. Half an hour drive to Phedi and start trek to Tolka/1810m. The trail is steep until Dhampus and pleasant easy walk up to Deurali then the trail descends steep down to Bherikharka and 30 minutes walk takes us to Tolka. Stay there overnight in lodge. Day 03: Trek to Chhumrong (2100m), 6-7 hours walk. We walk a pretty flat trail until Landruk then descend down and trek along the river through Himalpani and cross suspension bridge over Modikhola near New Bridge. 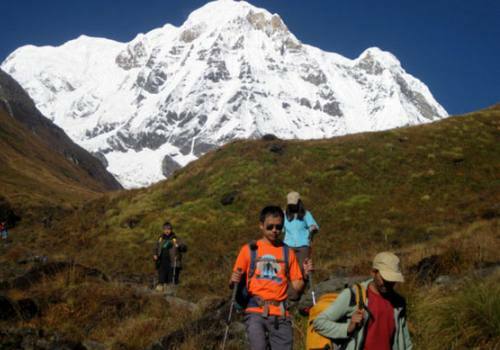 Then we walk until reaching Chhumrung - one of the biggest Gurung Village via Jhinu Danda located on the ridge. We hike steep up about 1.5 hours to Chhumrong. Stay overnight at lodge. Day 04:Trek to Dovan (2630m). 6-7 hours walk. The track goes down 310 meter through thousands of stone steps then crosses Chhumrung Khola on a suspension bridge and climbs up to Sinuwa at the height of 2340 meter. It is easy walk through rhododendron festooned with orchids and ferns then steep down with stone staircase to Bamboo. After having lunch there we walk throughout the cool forest about an hour to Dovan at the elevation of 2630 meter. Stay overnight at lodge. We have a silence jungle walk today to Himalaya from Dovan. 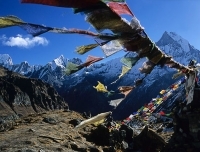 It is believed that mountains are sacred and holy. As it is already believed that Annapurna means "full of food" (feminine form), but is normally translated as Goddess of the Harvests. 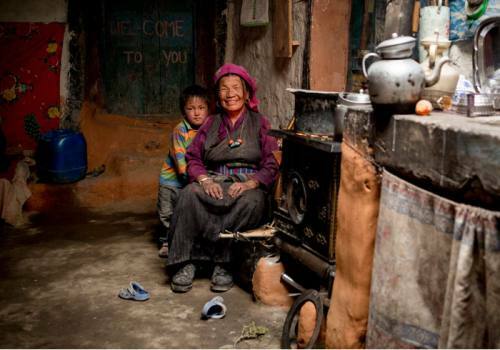 In Hinduism, Annapurna is "... the universal and timeless kitchen-goddess ... the mother who feeds. Without her there is starvation and a universal fear. Her most popular shrine is located in Kashi, on the banks of the river Ganga." Her association with the giving of food (wealth) led her in time to be transformed into Lakshmi, the Goddess of Wealth so from the religious view it is important to respect the Mother Nature, create peaceful and calm surroundings. Stay overnight at lodge. 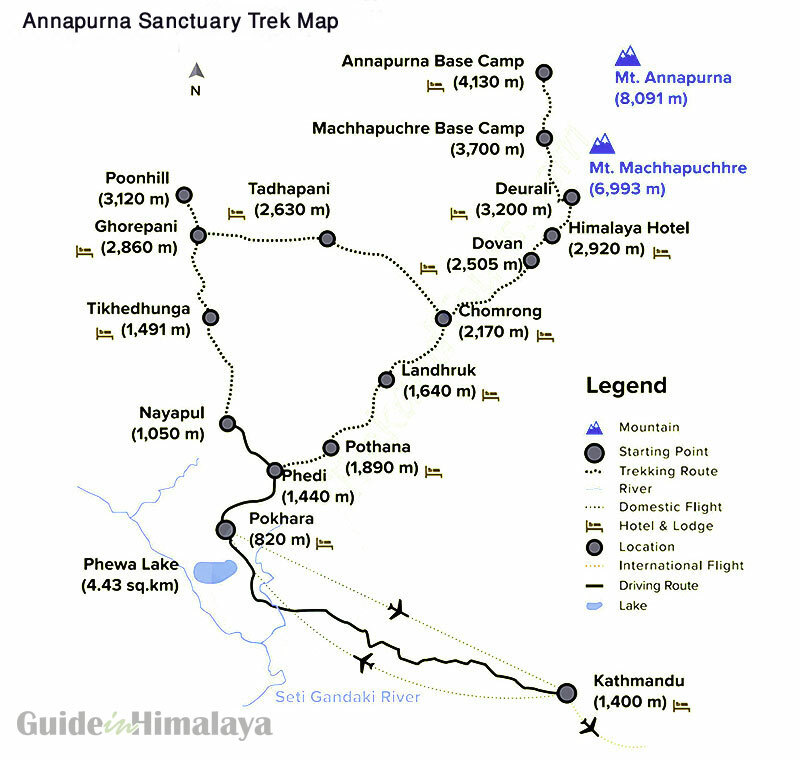 Day 06:Trek to ABC (Annapurna Base Camp) 4130m, walk 5-7 hrs. Above Deurali the valley widens and becomes less steep. After walking some stone staircase we reach at the place where some people were killed by avalanche a decade ago. We should not stop in this dangerous place for long time. 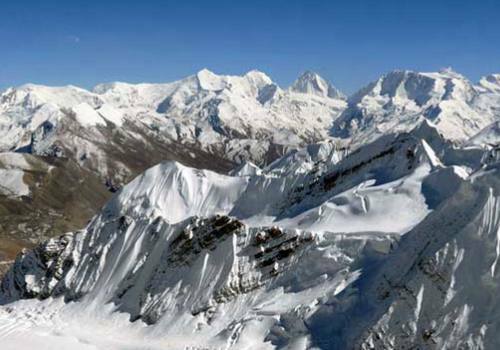 This place is warned of avalanche so continue trek ahead with aware until you get to safe place. As you walk further, more beautiful White Mountains more seen and close. The trail turns to the left in the valley after Machhapuchhre Base Camp and it is pleasant walk up ABC though the air is thin. You can see 360˙degree Mountain View from Base Camp. 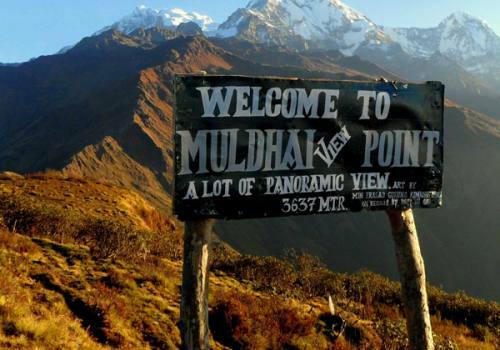 There are tremendous view of giant Annapurna I 8091m, Annapurna South 7219m, Machhapuchhre (Mt. Fishtail) 6997m and several other wonderful peaks. Stay overnight at lodge. Day 07:Trek down Bamboo (2310m), 6-7 hrs walk. After enjoying Brilliant Mountain view and taking hot cup of tea or coffee we take hot breakfast and trek down to Dovan or Bamboo via MBC, Deurali and Himalaya. We take tea and lunch break on the way. Stay overnight at lodge. 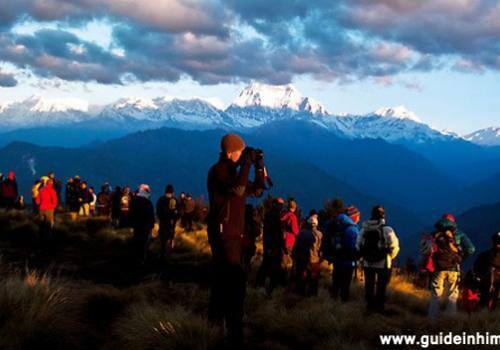 Day 08:Trek to Ghandruk (1940m), 5-6 hours walk. 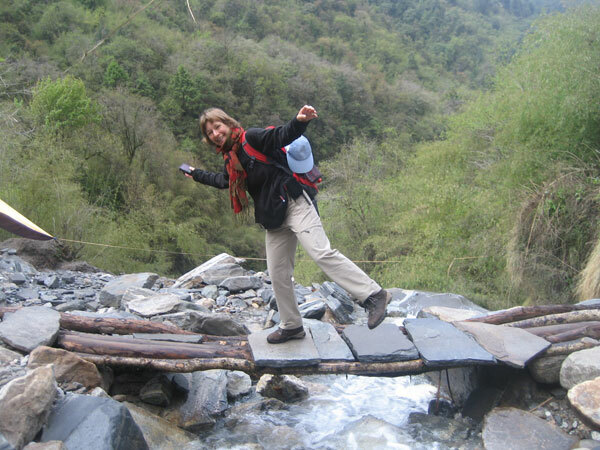 The trail goes through a pretty flat at first then descends down Kimrong Khola and hike up to Komrong Danda. 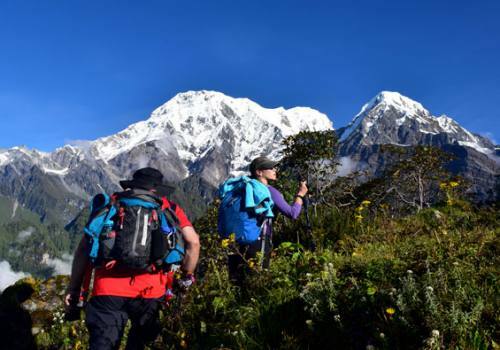 We can stop there for lunch break then continue our trek to Ghandruk, a beautiful Gurung village also known as a “Gurung Heritage” there we can visit Gurung museum and a monastery. Stay there overnight. Today is our last day of trekking. We descend down to Kimche, there we can catch the jeep to Nayapul if you feel tired if not we continue walking until reaching Nayapul and drive to Pokhara. Stay overnight in hotel. 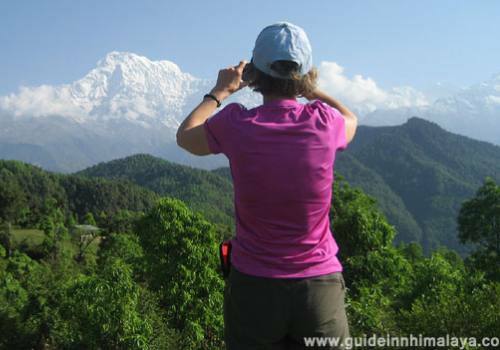 On registered and experienced local trekking guide. An assistant guide if group is more than 6 people. 2 Nights deluxe room in 2 star category hotel in Pokhara with buffet breakfast. 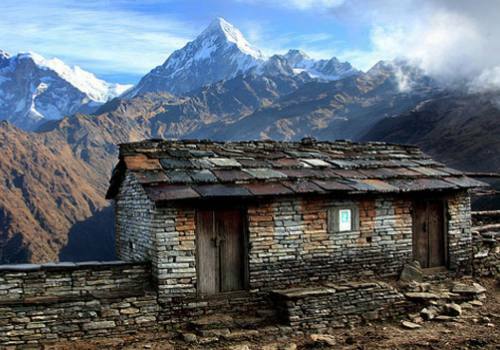 Twin/triple sharing trekking lodge accommodation during the trek. All meals: lunch, breakfast, dinner during the trek. 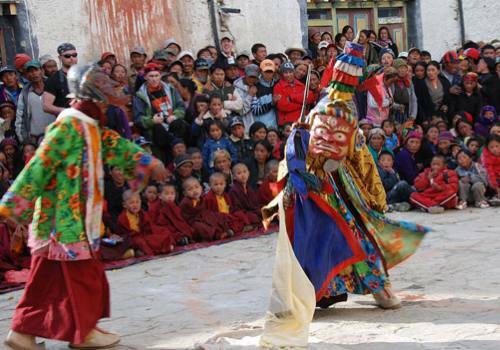 Kathmandu – Pokhara - Kathmandu by tourist coach. 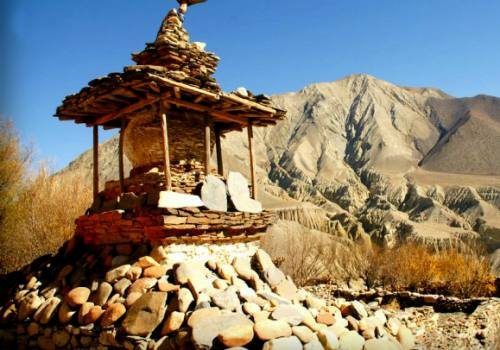 Car/cab transfers to/from trekking starting and ending point. 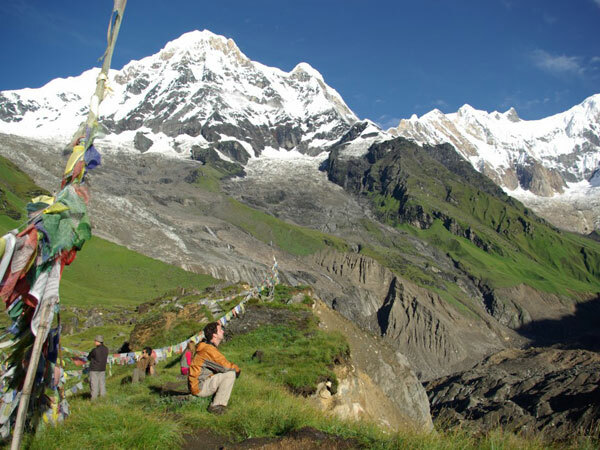 All necessary trekking permits for the trek. 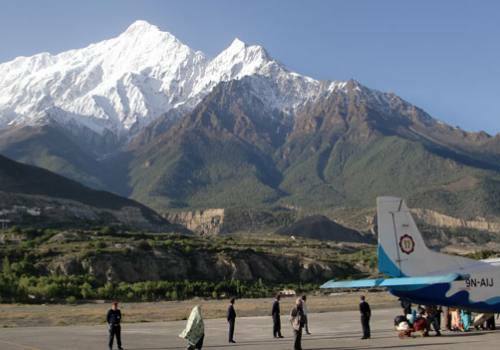 Accommodation, meals and transportations in Kathmandu. Meals in Pokhara except the breakfast.